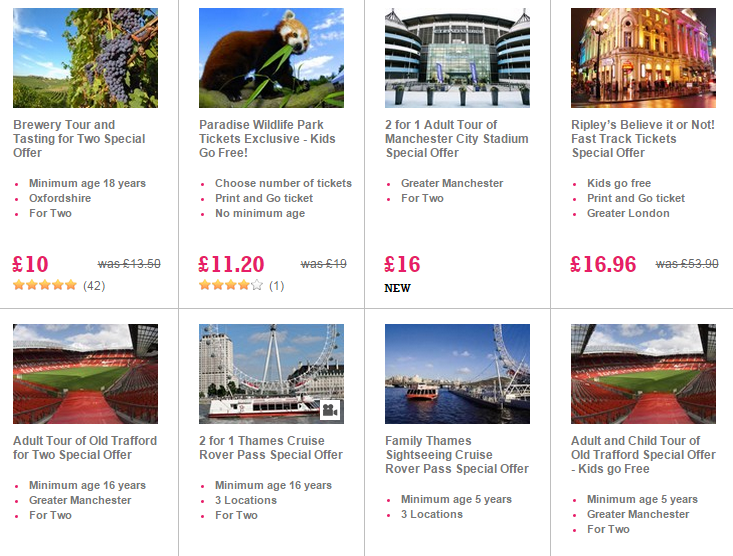 Cheap Days Out This Summer from just £5 each !! If you’re looking for some exciting things to do this summer then check out the offers over at Buy a gift, they have deals for as little as £10 for two x people, that means you can grab some bargains for as little as £5 each. There are absolutely stacks of great trips to choose from and it’s great for getting some inspiration for unique and unusual days out. Here are just some of the deals on offer but there are so many available they’re impossible to list them all – CLICK HERE to check out all the deals.